Almost four years ago, Councilman Bhalla sought advice from Hoboken’s City Attorney about whether he may vote on the continuation of an existing contract with an attorney with whom he shared office space. He was advised by Hoboken’s City Attorney that it was perfectly permissible to cast a vote.Upon advice of Counsel, Councilman Bhalla cast his vote. The vote was unanimous as the matter in question was routine business to renew an pre-existing contract. Four years later, the New Jersey Local Finance Board determined they disagreed with the Hoboken City Attorney’s advice to Councilman Bhalla and issued a “Notice of Violation” The notice of violation from the Division of Community Affairs (DCA) makes clear on its face that it is simply an accusation, and not a conclusion or adjudication. The notice and cover letter prominently and expressly says, “Please be advised that the NOTICE is not a final determination if you desire to avail yourself of the right to request an administrative hearing.” To further demonstrate how minor this matter was, the Local Finance Board stated that the $100 fine associated with the notice was being voluntarily waived by the Local Finance Board. There is absolutely nothing ambiguous in the Local Finance Board’s statements above. After reading it, it would be clear to anyone that it is not a finding of guilt on Councilman Bhalla’s part. Saying or suggesting otherwise is false and defamatory. Councilwoman Mason has apparently made no effort to contact any DCA personnel and confirm that Councilman Bhalla has challenged the DCA’s charges, or confirm that the notice of violation is not a finding of a violation. Ravi Bhalla became partners with a law firm that represents the City of Hoboken and the firm continued to represent the City after he became a partner. This is an outright false statement. The facts are the following. Councilman Bhalla’s commenced employment with his employer, Florio Perrucci Steinhardt & Fader (“Florio Perrucci”) on August 1, 2013. The firm did work for the City most recently in two matters, one, the Sweeney v. Hoboken litigation in the Appellate Division, and second, in connection with labor negotiations. Hoboken’s briefing closed in the Sweeney matter on January 22, 2013, and Florio Perrucci has done no work and has billed no time in that matter since January 2013. Councilman Bhalla was not associated with, or in discussions to become associated with, Florio Perrucci, in January 2013. In fact, the discussions that led to Councilman Bhalla becoming associated with Florio Perrucci occurred in mid-June and early July 2013. As to the labor negotiation services rendered to the City by the Florio Perrucci firm, this activity was terminated by early July 2013, when Councilman Bhalla advised Hoboken Corporation Counsel that he was about to accept a position there. Councilman Bhalla has abstained from voting on approving any bills to the Florio Perrucci firm since mid-June 2013, when active employment discussions got underway, and since that date, and has not voted “to pay the . . . legal bills” as Councilwoman Mason falsely claims. The recent memorandum from Corporation Counsel Mellissa Longo, which lays out Councilman Bhalla’s abstentions on Florio Perrucci bills since mid-June, is a matter of pubic record which Councilwoman Mason continues to ignore. Put simply, when Florio Perrucci took Councilman Bhalla on as a partner, it did not gain any benefit with respect to its relationship with the City of Hoboken. To the contrary, it lost both the benefit of its modest existing legal contract with the City of Hoboken and the opportunity to benefit from future contracts. Councilwoman Mason’s reckless publishing of information that is false, and which she knows to be false, is defamatory. There appears to have been no effort on the part of Councilwoman Mason to contact the City Clerk, Corporation Counsel, the Mayor, or Florio Perrucci management about these allegations, any one of whom could have easily confirmed and corroborated the timing and sequence of events that are outlined above. Councilman Bhalla advocated for Florio Perrucci to get legal work from the Hoboken Housing Authority. This is completely false, and Councilman Bhalla has never “advocated” for Florio Perrucci for any legal work from the City or its instrumentalities including the Hoboken Housing Authority, at any time. Councilman Bhalla has not answered questions about when his negotiations with Florio Perrucci began. In an article in the Hoboken Reporter, published October 26, 2013, Councilman Bhalla fully answered this question, indicating that they began in mid-June, and he began abstaining from votes for payments to the firm immediately thereafter. In that same article, for which Councilwoman Mason was interviewed, she not only acknowledged Councilman Bhalla’s explanation, but said she found it to be a “reasonable answer.” Why Councilwoman Mason would resort to a lie in an email to her constituents just days later is baffling. While Councilman Bhalla has, as a private attorney, been a party to professional services agreements with Union City and Newark, a review of public records will show that he never made any reportable “campaign contributions” to any officeholder or candidate in either of those municipalities, or to an entity that could legally be managed or controlled by any officeholder or candidate, in any municipality. Even if Councilman Bhalla had made what Councilwoman Mason calls “campaign contributions,” the assertion that contributions “resulted” in contracts for his firm is per se libelous, as it implies the commission of a crime. To be clear, there were no reportable contributions to candidates or officeholders, or to entities that could lawfully be managed by candidates or officeholders, and there is no link between contributions and the contracts he received. Nor, for that matter, has the Star-Ledger or the Jersey Journal ever said so. This statement is recklessly defamatory. The attorney at issue, Paul Condon, never paid any rent to Councilman Bhalla. Messrs. Condon and Bhalla paid rent to a common landlord, but neither was the landlord or tenant of the other, and no rent had ever been exchanged between them. 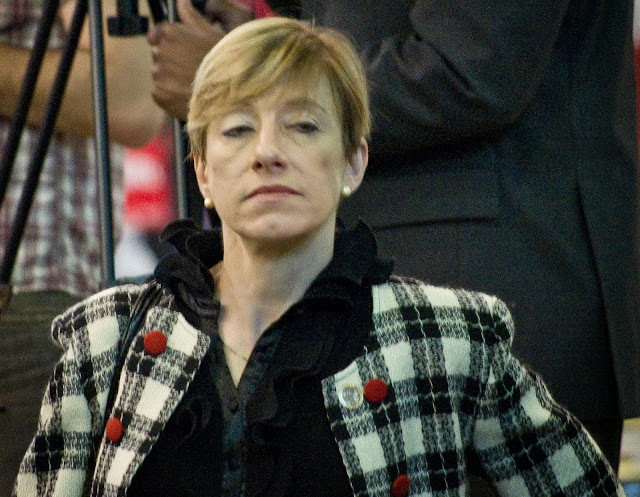 Beth Mason is being called out for her repeated, alleged defamation by Councilman Ravi Bhalla.